1978 sure was a great year for the horror genre theatrically and TV movies with such TV movies as John Carpenter’s Someone’s Watching Me, Are You in the House Alone and Devil Dog: Hound of Hell. TV films of the 70s and 80s (even the early 90s) are sort of a guilty pleasure of mine and while there are some classics such as Someone’s Watching Me and Dark Night of the Scarecrow, the good portion of TV films are fun, perhaps more than they should be and the Initiation of Sarah may not reach the height of the two films I mentioned, but its still a solid TV film that like many others is sort of bogged down to a certain degree by TV restrictions. Sarah (Lenz) & Patty (Brittany) are sisters (Sarah is adopted) heading off to college. Patty is outgoing, while Sarah shy and more reserved. When they apply for a sorority, Patty gets into the popular one while Sarah gets into the least popular one that’s been dubbed PED (pigs, elephants and dogs). 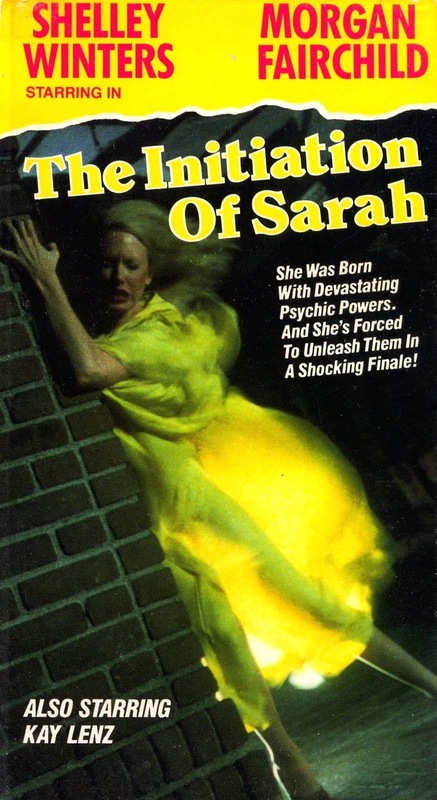 Sarah than becomes a target of Jennifer (Fairchild) who leads the popular sorority, but after a prank on Sarah she unleashes her vengeance through her telekinetic powers. The screenplay by Don Ingalls, Carol Saraceno & Kenette Gfeller is fairy well written, but basically its a TV version of Carrie set at a college rather than high school and deals with sororities. Sarah while shy can be a little more outspoken when the time comes, but that hardly differs her from Carrie and Jennifer is nearly identical to Nancy Allen in Carrie on with TV limitations. There really is some decent character development and even if the characters are copies from Carrie they are however strong enough to carry the film to some degree. The writers never really stray from knocking off Carrie and when they do make the changes they make fit well even if some of the differences are quite minor such as Patty being sort of the Sue Snell character and the only difference being she’s Sarah’s sister and never takes part in the bullying at all. Still with that said the script works well despite it nothing more than a TV rewrite of Carrie, but it also has enough to offer than simply being a rewrite. Director Robert Day delivers a well-made film that gets off to an excellent start, but does get sluggishly paced in the middle sections as the characters while interesting can’t fully carry the picture. Initiation of Sarah, while not very scary does have some decent suspense and Day handles the film well even though he channels his inner Brian De Palma throughout the production. One scene in particular owes a great deal to Carrie, rather pigs blood, Sarah has mud and tomatoes and other things thrown on her and there is a shot of Sarah clearly taken from Carrie. This film was made at a time when TV films were competent and while this isn’t a great film its enjoyable enough and deserving of its cult status. The only real problem is the middle can get a bit sluggish, however Robert Day still manages to keep the film fairly interesting. The performances were strong for the most part with Kay Lenz solid in the lead and she does just enough to separate herself from Sissy Spacek. Morgan Brittany gives a fun and energetic performance as Sarah’s sister who’s torn between her sister and sorority. Morgan Fairchild is a lot of fun as Jennifer and only hindered by being an exact replica of Nancy Allen in Carrie (again only with TV limitations of course). Tisa Farrow is a bit of the standout as Mouse and while she never reached the heights of her more famous sister, Tisa has proven to be a solid actress in her own right. 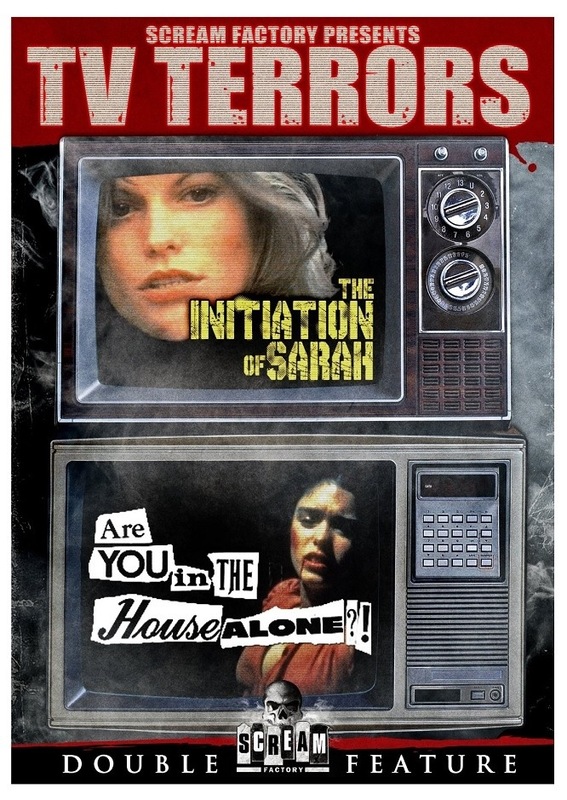 Overall Initiation of Sarah is a TV version of Carrie and nowhere near the brilliance and while my review may not sound overly glowing I enjoyed the film quite a bit and for fans of this kind of movie its worth seeking out and is probably the best of the Carrie knockoffs. The middle sections can be a little slow and the final act can only go so far since its made for TV, but with all that said I quite enjoyed this film. Its well made with solid performances and while it might borrow a little too much from Carrie at times its worth a viewing. Tom Holland has a story credit and he would go onto write Psycho II as well as direct Fright Night and Child’s Play. Long OOP with only a VHS release and rarely being aired anymore I saw this on Netflix and figured I wouldn’t see it again, but thankfully Shout Factory under their Scream Factory label released this in a double feature with Are You in the House Alone on a double feature titled Scream Factory Presents TV Terrors.